Egypt's Coptic Orthodox Church has decided to appoint a team of international lawyers to restore its legitimate ownership of the Deir Sultan Monastery in Jerusalem, said Ibrahim Azmi, the international media officer of the Coptic Orthodox Church, according to Al-Ahram Arabic news website. Azmi said that the church has also filed a complaint with the Ministry of Justice and the prime minister against the practices of Israeli police, and will also file a lawsuit to demand the right to restoration of the monastery. 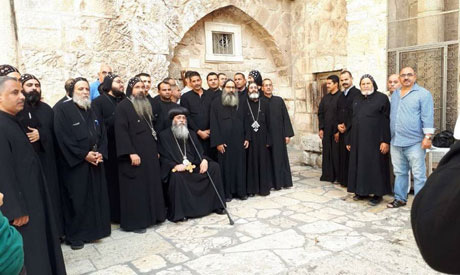 In late October, Israeli security forces assaulted Egyptian Coptic monks and arrested at least one during a protest against the restoration of Deir Sultan Monastery. The arrested monk was later released. Deir Sultan had been returned by Sultan Salah Al-Din to the Coptic Church in the 12th century, but Israeli occupation authorities expelled Coptic monks from the monastery after the 1967 War and handed it over to Ethiopian monks, prompting Pope Cyril VI of the Coptic Orthodox Church to ban the travel of Copts to Jerusalem. In 1971, the Israeli High Court of Justice ruled that the monastery rightfully belongs to the Coptic Orthodox Church, but Israeli authorities have not enforced the ruling. The monastery, where Ethiopians have lived for decades, had been owned by the Egyptian Coptic Orthodox Church since the 7th century.